After much lobbying by the contenders for the chairman’s seat of Diphu Town Committee, Rah Kro, ward commissioner of Ward No. 12, has been chosen by the Karbi Anglong BJP leadership. Kro’s name will be officially announce in a ceremony on Monday to be held at the conference hall of Diphu Town Committee’s office at 11 am. It is viewed that Kro belongs to the faction of Karbi Anglong district led by Tuliram Ronghang, the chief executive member (CEM) of Karbi Anglong Autonomous Council (KAAC). The other faction is led by the president of BJP, East Karbi Anglong District Committee, Ratan Teron. 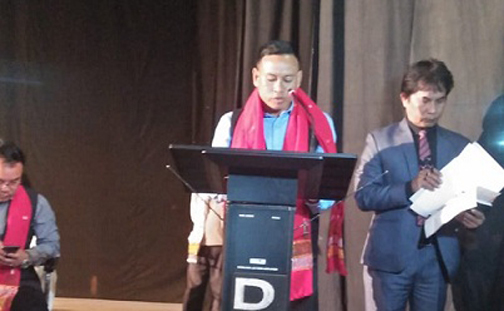 Two other ward commissioners of Teron faction, Simon Phangcho and Semson Terang have lobbied hard for the post of chairman of Diphu Town Committee right after they were elected. The announcement of the name for chairman of Diphu Town Committee was delayed reportedly on the instruction of Assam HAD, mines & minerals minister Sum Ronghang as to allow time for lobbying against CEM Ronghang’s candidate Kro. The minister was taken ill during Town Committee elections in Karbi Anglong and West Karbi Anglong and yet to fully recover. He was suffering from cardiovascular and sugar problems. The minister threw in his lot with the BJP faction in Karbi Anglong led by the district party boss after his own candidate for the chairman’s post, his nephew Rangmukrang Ronghang, was defeated in Ward No. 8 by an independent candidate Rustom Tokbi who later joined the BJP. Rangmukrang Ronghang joined the BJP on January 25 in a party rally at Karbi Anglong Sports Stadium, Chutianala here in presence of Assam finance minister Dr. Himanta Biswa Sarma.